Piano-centric music often presents harmony, melody, and rhythm in a different way from music that’s oriented around a solo melodic instrument. Because the piano has control over all three of these core musical elements, it can dictate every aspect of a given piece more quickly, and the thematic development and harmonic nuances tend to be more deeply rooted in the specifically classical influences of the pianist. This list includes some of the piano anthems that have found themselves in my playlist over and over again. Each of these recordings is historically important for its own unique reason. Of all Evans’ recordings, the Vanguard sessions are the most musically connected. The interplay between Evans and Scott LaFaro rivals (and probably tops) any piano/bass duo throughout recorded history. “Waltz for Debby” is Evans’ foremost masterpiece, drawing impressionistic influences from Debussy and beyond into a statuesque model of sonic brilliance. I go to this recording constantly for inspiration. One of the foremost examples of musical fluidity and interpersonal interaction. The ensemble of George Coleman, Freddie Hubbard, Herbie, Ron Carter, and Tony Williams functions loosely but connects impeccably through their musical choices, time feel, and spirited improvisation. There’s even a moment where the ensemble breaks apart at the seams and feels unsure about where the pulse lies, but miraculously ties it back together through ninja-like nuance. This embodies Herbie’s spirit of embracing the moment and functions as a pillar of his accomplishment. Brad Mehldau is the Michael Phelps of his generation of pianists. He executed this anthemic performance of “All the Things You Are” in a fluid 7/4 in A major, before it was cool to play things in 7/4. For years, as a young musician, I couldn’t believe that they kept time throughout this entire piece. It was only when I came into my own as a pianist that I could hear the rhythmic nuance from beginning to end. Many pianists now cover this effort, but none with the same level of accomplishment as the original. This is a prime example of classical influence in that the piece is directly and unapologetically based on Joaquín Rodrigo’s “Concierto de Aranjuez”—there’s even a quote from it at the beginning. Joe Farrell’s flute solo always bothered me a little bit, as he couldn’t quite keep up with the notes he wanted to play, but Chick’s virtuosic fluidity well overshadowed that, raising this piece into an anthem for aspiring fusion pianists for generations to come. Like Maiden Voyage, Thrust is a prime example of Herbie’s mentality and spirit, and of his philosophy that embracing the moment allows the brilliance of a human being to shine through. But his harmonic and rhythmic understanding are much more developed here, and his spirit is more liberated in his interactions with the other instrumentalists. This recording embodies the excitement of life in a way that one cannot compositionally calculate. It always brings me back to my center and reminds me how wonderful life is. Keith Jarrett is the greatest living pianist today. His extensive study of the entire Bach repertoire, as well as more modern composers, has given him the ability to channel the history of keyboard into a single improvisation. The Köln Concert is a moment where he was particularly transparent, accessible, and deeply musical. It is his most significant accomplishment, if not his greatest work, and has received the accolades it deserves among piano enthusiasts. Somewhat guiltily, I will sometimes get on the drum set or the bass and play along to this. The Bad Plus’ cover of the Nirvana hit influenced many of this generation’s pianists’ choices. Rock covers of that nature were much less common in the ’90s, whereas only a year after the Bad Plus released “Smells Like Teen Spirit,” Mehldau covered Radiohead’s “Everything in Its Right Place.” This trend flowered in different directions, including Robert Glasper’s direct quote of the Bad Plus in his own cover of “Smells Like Teen Spirit” with a significantly different harmonic structure. As a young pianist in music school, I admired the Bad Plus for this adventurous decision, and I think a lot of our minds were a little more open because of it. The jazz that’s breaking into the mainstream today is all too often oversimplified and lacking in nuance. Aaron Parks is the antithesis of this, yet he gets only a fraction of the attention that much less musically significant musicians are receiving. Little Big draws influence from the many harmonic and rhythmic trends current to the new jazz resurgence, summing them into a kaleidoscope of greater depth and complexity than I’ve heard in almost any other recent recording. I hope that this record begins to direct toward him the notoriety he deserves. 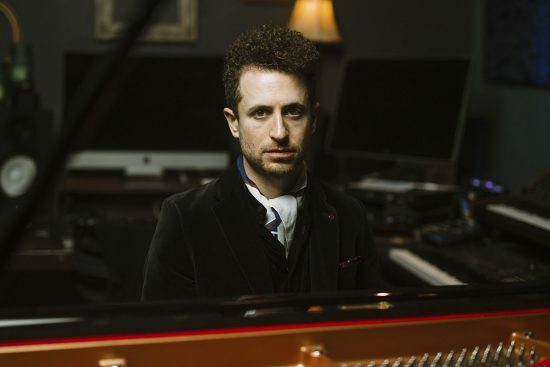 Pianist/composer Greg Spero leads the genre-bending quartet Spirit Fingers, whose self-titled debut album was released by Shanachie in March 2018. Mentored by Herbie Hancock, Spero was the longtime pianist for pop singer/songwriter Halsey and is also an alumnus of the Miles Davis Electric Band and the Buddy Rich Big Band.